On May 16, 2010 Eyjafjallajökull, a volcano in Iceland, erupted and really messed with European air travel. Our ship decided to stay docked an extra day, and I experienced my only day off ever on a cruise ship. I didn’t waste a single second of that day, and it still remains one of my favorite days ever. We were docked in Civitavecchia, about an hour train ride from Rome, so my friends and I got up at 6 AM and headed out. We were in Rome by 8 AM and managed to squeeze a LOT into one day. Our first stop was to snap a picture next to the gorgeous Trevi Fountain. Dorky Confession: I may have been dying to do this because Lizzie McGuire did it in her movie. 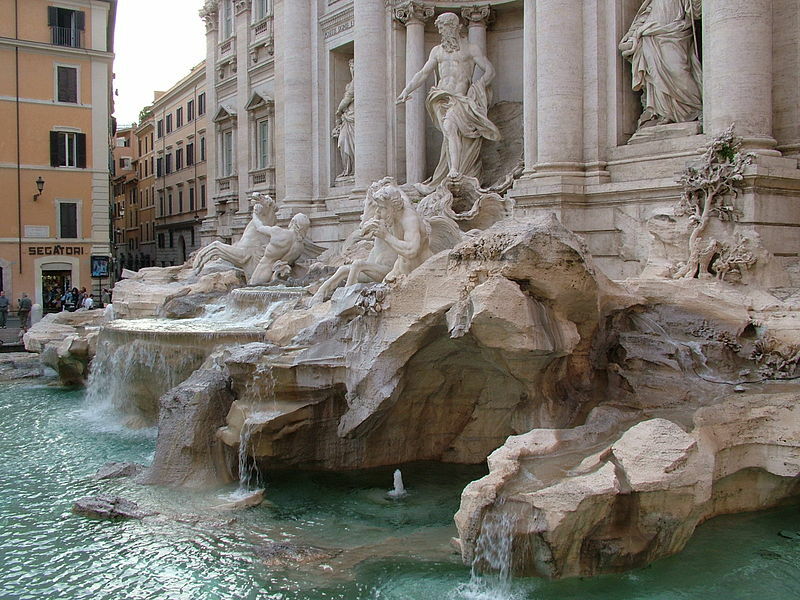 Legend has it that if you throw a coin in the fountain, you’ll make it back to Rome someday. Definitely threw a coin in, but I haven’t made that return trip yet. From there it was a quick journey over to walk The Spanish Steps – the longest and widest staircase in Europe. You get some great views of Rome at the top as well. Then we ate pizza and cannolis for lunch, because we had to. And it was delicious. How do you go to Rome and not eat pizza and cannolis for lunch? Our next stop was the Colosseum (of course). You can’t go to Rome and not check out the Colosseum! Also known as the Flavian Amphitheatre, admission was a reasonable €15 and included a guided tour (in English, thank goodness, my Italian is not molto bene). 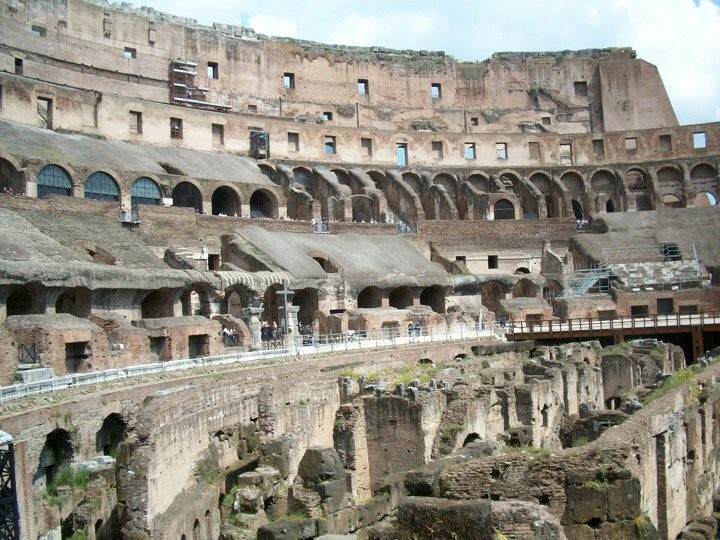 We learned about the history of the gladiators and the games played there. The entire place is incredible. As a dorky theater person, I remember being completely awed that the building was engineered to be able to seat the entire audience within 15 minutes and could be completely evacuated in less than 5 minutes. Can you imagine evacuating 50,000 people in 5 minutes? Holy cow. Right next to the Colosseum is the Forum, which is just incredible to wander through. It’s full of the ruins of ancient Rome. We had beautiful weather that day and were able to really enjoy the Forum. I’d say give yourself at least an hour to wander the ruins and marvel that you’re pretty much standing on history. This could just be the American in me, but everything over there is just so much older – it’s so cool! 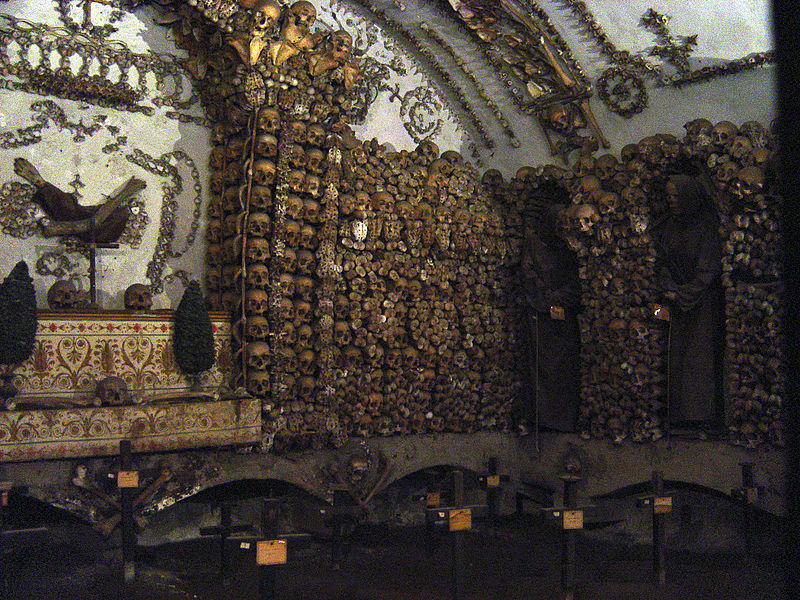 From there, we took a step off the beaten path since one of the girls in our group had been to Rome a few times already and was dying to see the Capuchin Crypt. This is a really cool stop for anyone interested in the unusual and bizarre. Housed at the Capuchin Church of the Immaculate Conception, the bones of 3,700 monks in this crypt have all been turned into works of art. You walk through sculpture after sculpture made of bones. It’s fascinating. The different sculptures are meant to be reminders of our own swift passage through life. The entry fee was only €6 and I’m glad we made time for this unique site. After stopping for some gelato, we made our way over to The Pantheon and wandered around inside for a bit, checking out the different sculptures, before finally making our way over to Piazza Navona, one of many outdoor eating areas, to dine on an authentic Italian dinner of pasta and wine. We finally made it back to the ship around 10 PM and called it our most successful day of sight-seeing ever. Do you have any fun travel stories that weren’t planned? Let us know in the comments below, or send in your own guest post by following the link. While you’re at it, be sure to follow us on Instagram, Facebook, and Twitter! The fountains in Rome are so pretty, especially the Trevi fountain. The Trevi fountain is really gorgeous! So much of Rome is. I really hope to make it back someday. It’s worth a week of a visit entirely on its own.